Kyle said 25 athletes showed up… What Happened? Look who is in the picture. We scared the rest off. Good energy on Tuesday that was a fun one. 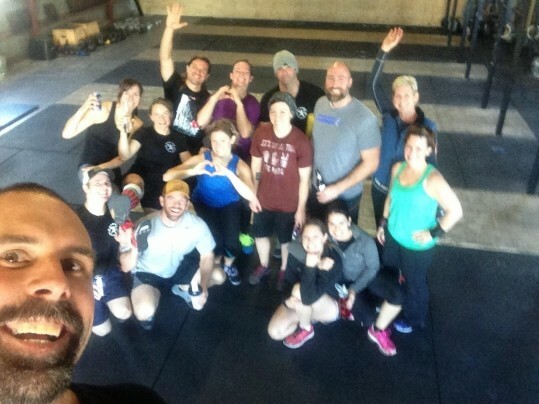 Tuesday’s WOD was filled with chaos, to the untrained eye it look liked athletes running in circles and getting in the way of one an other….. But, it actually flowed really well considering all of us that where jammed into the box!